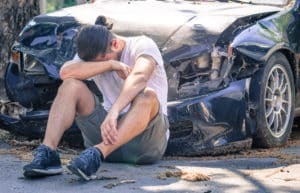 California Automobile Accident Sudden Emergency Excuse – You’re waiting at a stop light at an intersection on your way home from work. You are suddenly rear-ended by a vehicle travelling at a high rate of speed. The next thing you remember is waking up in the hospital. The serious injuries you have sustained require surgery. Your injuries cause you to miss months of work. Ultimately the accident costs you your job. Just when you cannot fathom that things could get worse, the bottom falls out. You receive a letter in the mail. It’s from the insurance company of the person who rear-ended you. The letter states that the insurance company is not liable for the rear-end collision. The letter explains that the person who hit you is not responsible to pay for your injuries because they experienced a sudden medical emergency that caused them to hit you. Your first thought is, how is this even possible? The person hit you and now they don’t have to cover your losses? The insurance company has just asserted the controversial California automobile accident sudden emergency excuse. Also known as the doctrine of imminent peril, the sudden emergency defense is asserted to excuse the defendant from the consequences of the collision. The sudden emergency defense applies in limited circumstances. It only applies to a person who experiences a physical (not mental) illness while driving, which the person had no reason to anticipate, if that illness makes it impossible for them to control their automobile. The person cannot have any knowledge of the physical illness prior to its sudden onset. If they do, then they are negligent for driving with their condition. The zero knowledge standard makes this defense very limited since most physical illnesses can be anticipated by a reasonably prudent person. Furthermore, the physical illness must also make it impossible for the person to control their automobile. The defense has to prove that the physical illness made it impossible for the person to drive prudently under the circumstances. With these considerations in mind, this is a very limited defense indeed. Unfortunately, it is often asserted by insurance companies to get out of paying for damages caused by their insured. That [name of plaintiff/defendant] acted as a reasonably careful person would have acted in similar circumstances, even if it appears later that a different course of action would have been safer. Have you been hurt in an automobile accident that you did not cause? The insurance carrier tries to find any excuse for denying payment to you and your family. 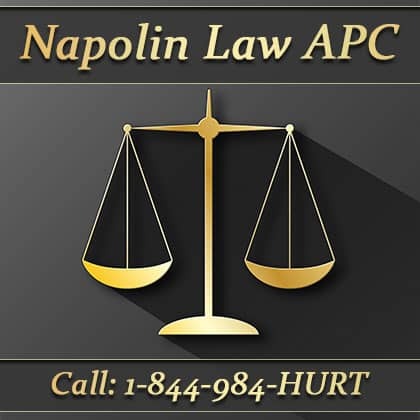 Californa automobile accident lawyer Alexander D. Napolin, Esq. provides representation to injury victims against insurance carriers throughout California. Call today for a free consultation to discuss your particular circumstances. All discussions are confidential and risk free. Learn how we can help today! 844-984-4878.